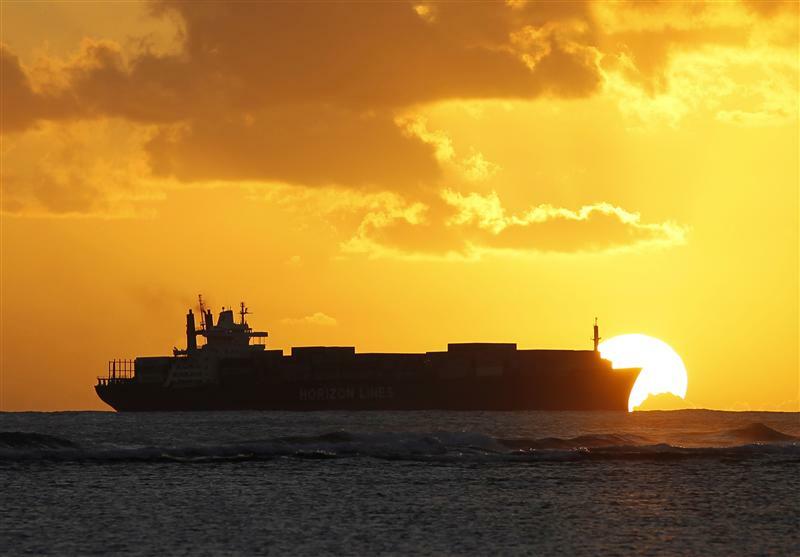 The world’s biggest container shipping company Maersk is adrift. The Copenhagen-based conglomerate warned investors on Oct. 23 that a worse-than-expected global freight market will dent full-year profit by 15 percent, compared with its previous guidance. It’s likely that 2016 and beyond will look bleaker still. Even efficient operators like Maersk can’t fight the tide. With a fleet of 592 vessels and a market share of 15 percent, the Danish group makes the bulk of its earnings through shipping – the remaining third of the conglomerate’s total haul in 2014 came from activities like container terminals, oil exploration and rig drilling. But shipping is a dreadful business financially. Capacities have risen faster than demand for years, and a slowdown in China has made things worse. Freight rates in the third quarter fell 19 percent compared to a year earlier. Maersk is better positioned than most of its rivals to sail through the heavy weather. Its operating profit margin has been consistently 6 to 9 percentage points above peers, and unit costs are the lowest they have ever been. Looking forward, it aims to bring down those costs by 2 percentage points each year. That’s good, but at current freight rates still not good enough. The conditions for recovery are out of Maersk’s hands. World trade growth will accelerate by a disappointing 4.4 percent in 2016 after 4.1 percent this year, the IMF forecasts. This does not bode well for a stock which has already lost 21 percent this year while the wider European market gained 13 percent. On Oct. 23, Maersk said it will axe some capacity. It also ought to review its capital spending on ships, scheduled to stand at $2.5 billion a year in 2015 and 2016, a quarter higher than last year. But if other shippers aren’t prepared to cut capacity back too, Maersk has little choice but to hold on tight and prepare for a continued soaking. A.P. Moller-Maersk downgraded its full-year outlook for underlying profit by $600 million to about $3.4 billion on Oct. 23, citing deterioration in the container shipping market. The Copenhagen-based shipping and oil conglomerate, which owns the world’s largest container shipping company Maersk Line, said that market conditions worldwide have been weaker than it expected. A mix of overcapacity, low demand and aggressive pricing is depressing profits in the industry that carries up to 90 percent of global trade. Shares in A.P. Moller-Maersk were down 8.4 percent to 9,595 Danish crowns ($1,433) at 0900 GMT on Oct. 23.